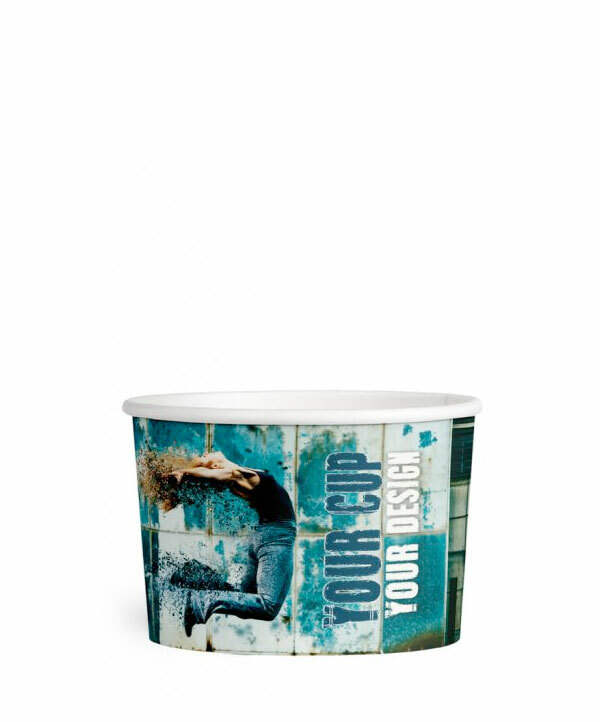 CupPrint offer a comprehensive range of customised paper cups. From single-walled cups for either hot or cold drinks, double-walled hot cups for very warm liquids, to ice cream tubs and pots for fruit, snacks and sundaes. 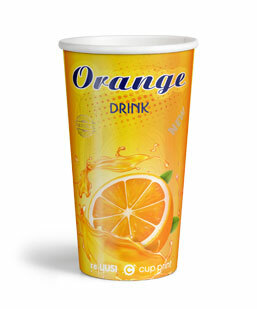 All cups are made to the highest standards with food-safe inks and high-resolution printing. 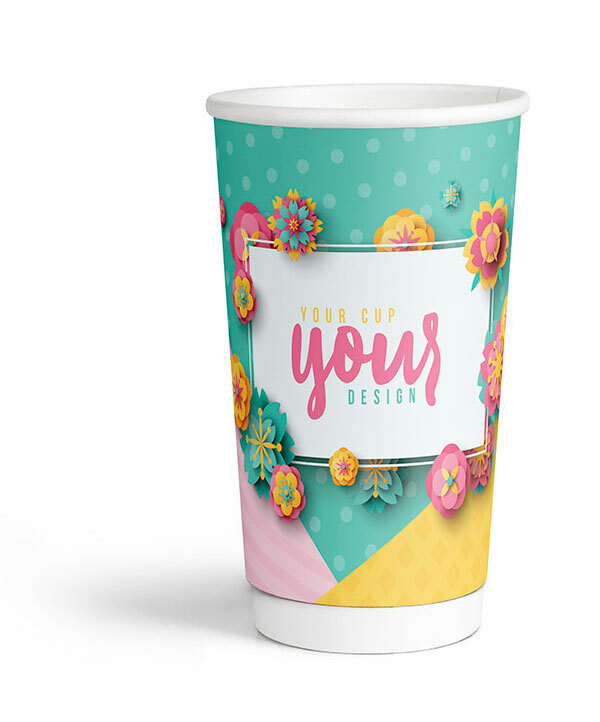 Your custom printed paper cups can be delivered in 15 days from quantities as low as 1000 pcs. You can order a sample box containing a range of current to-go models to review the quality yourself. Our sales team look forward to speaking with you. The recyclable re | uusi Double Wall Cups by CupPrint are available in four different sizes and individually designed. 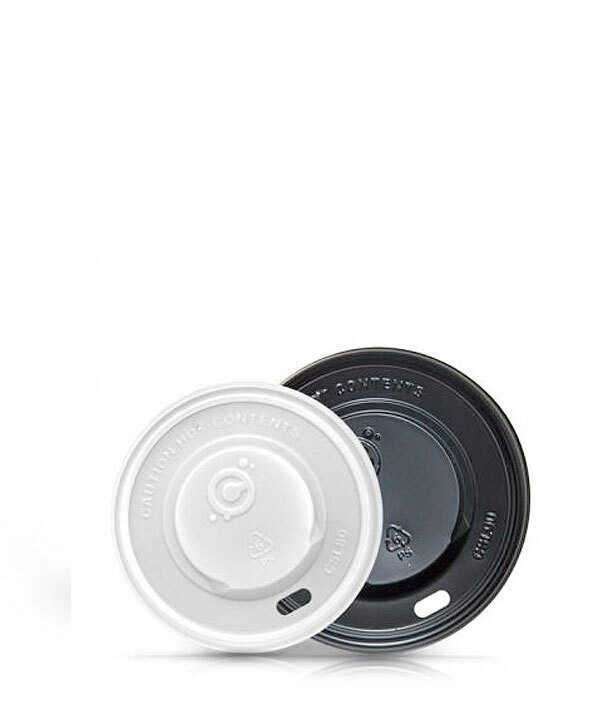 Like the single wall cups, our double-walled to-go cups are fully recyclable in conventional paper recycling facilities. 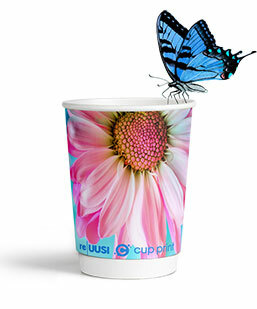 The recyclable re|uusi single wall paper cup helps to protect the environment. 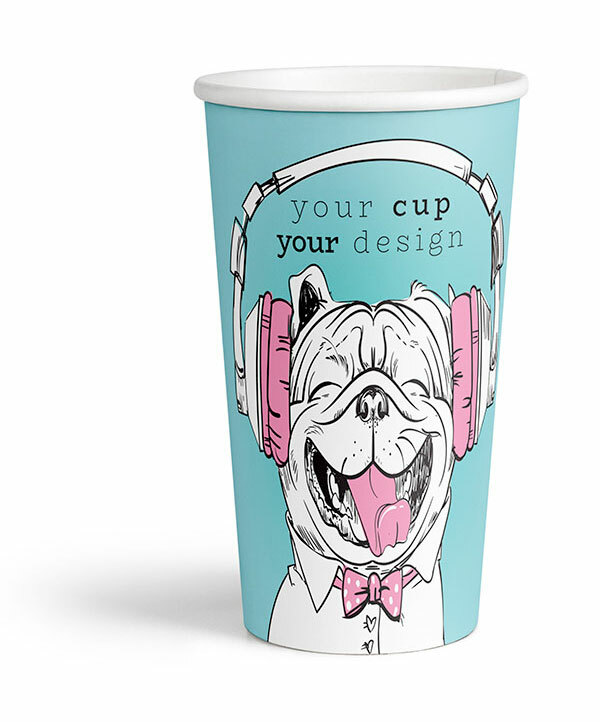 Your individually printed single wall cups are also the best showcase for your unique design and brand. With their double-walled construction, our Hot Cups are ideal for hot and very hot drinks. No need for sleeves! Individual all-over printing of the highest quality completes the perfect picture. Made of very strong, high-quality cardboard, the single-walled paper cups are ideal for either hot or cold drinks. Individually printed with your own unique designs they’re a real eye-catcher at every festival and in every cafeteria. With four different cup sizes, our Ice Cream Cup makes the heart of every gelateria beat faster. With full-surface CMYK printing these tubs are available Europe-wide in just 15 working days. The best lid for every cup.